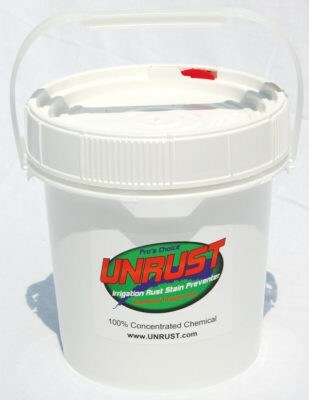 UNRUST Stain Preventer 5 cup - FREE SHIPPING! 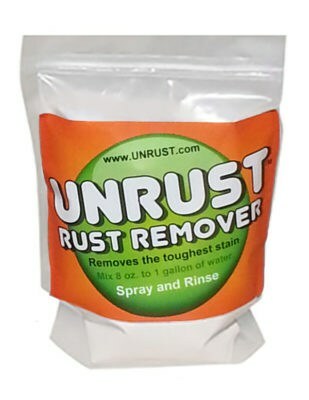 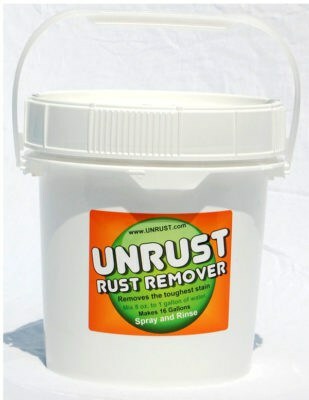 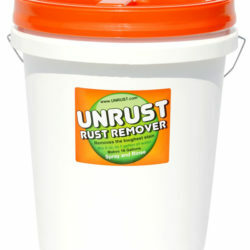 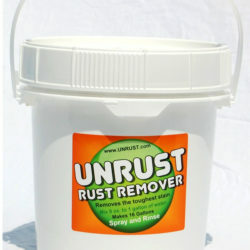 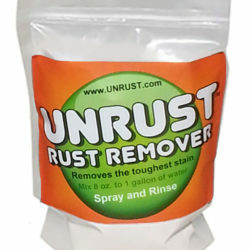 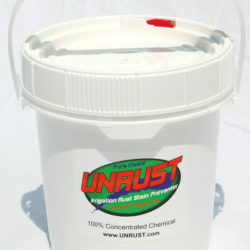 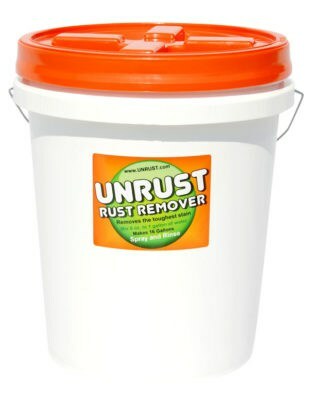 If you are undecided about UNRUST, this is a GREAT size to start with. 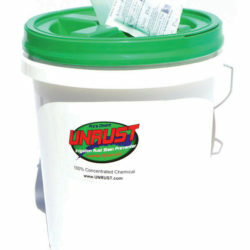 It holds 5 cups (40 ounces) of UNRUST Stain Preventer, just enough to make a good concentration for a 30 gallon chemical tank. 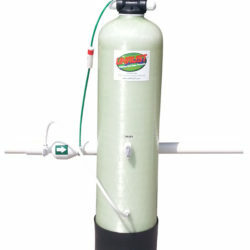 All you need to do is pour the contents into your 30 gallon chemical tank and add water. 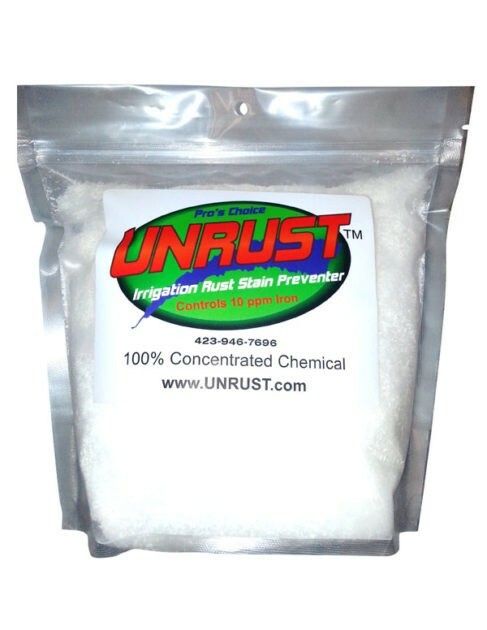 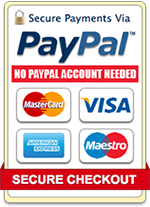 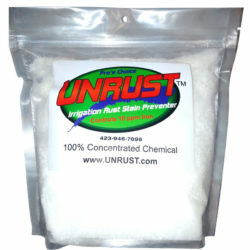 You may be paying a little more to try us out, but when you are satisfied with the results you can order our UN-5 gallon UNRUST Stain Preventer and save even more money.